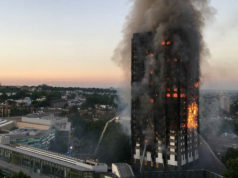 London - The whole world knows about the Grenfell Tower fire but only a few know the real story behind the causes of the fire or the lives of the people who lived in the tower. 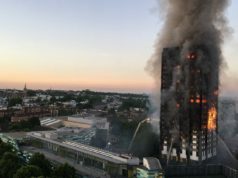 London – The whole world knows about the Grenfell Tower fire but only a few know the real story behind the causes of the fire or the lives of the people who lived in the tower. 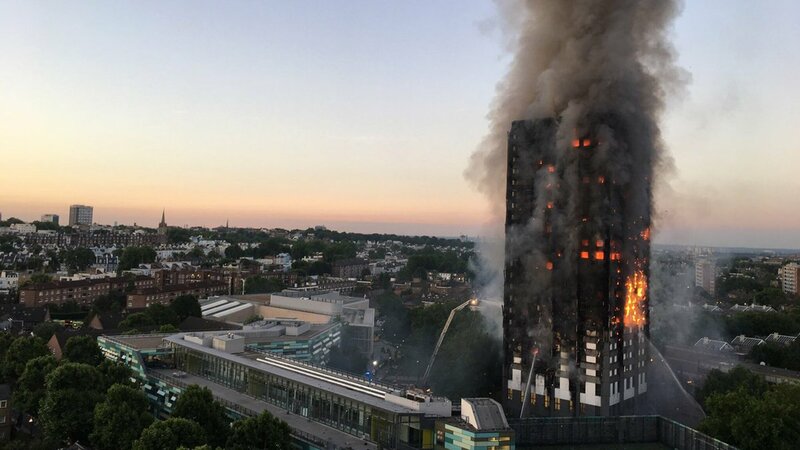 Grenfell Tower represents a striking example of modern life and with all its multi-layered, complex and intricate web of relationships of money, power and inequalities all woven together. 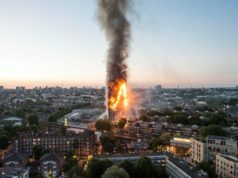 So what are the facts about the Grenfell Tower Fire? Who owns the raw data that substantiates what has happened before, during and after the fire? There seems to be a complete silence- a deadly siege around information from the local authority and very severe security on the people who are residents survivors or under treatment in hospitals. 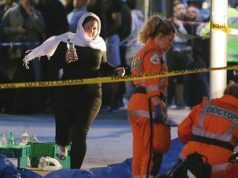 The fact so far are 79 presumed dead, 10 people in hospital and 260 housed by the Royal Borough of Kensington and Chelsea. Simple arithmetic gives us 79+10+260 =349. The Tenants Management Organisation reported that 575 people lived in the Tower. Then we subtract 575- 349= 226 people as unknowns. I will start by informing you that I am not interested in the version of the story that has been brought to you by the mainstream media with their agenda setting theories and vested interest and working to their corporate masters. My focus in the human story of the 226 people missing up to now and finding out what happen to the body of my mentor who spent the best part of 45 years as community leader and activist against all form of social injustice. In the last ten days, I have had the opportunity to have conversations with more than 100 people who are either bereaved, survivors or evacuees. I have liaised with 30 NHS professionals, 17 voluntary and community organisations, more than 120 volunteers, four faith groups that operate locally. I have been to countless meetings, an Iftar organized by the Moroccan Embassy for family and friends of people affected by the fire. I took parts in silent demonstrations and loud protest that seek justice for residents of Grenfell Tower. I chaired and organised emergency meetings with Arabic speaking community organisations made of Moroccan, Iraqi, Syrian, Somali, Sudanese and Egyptian; providing the administration of 2 whatup groups, provided interpreting and translation into 5 languages spoken by the local residents; coordinating 70 volunteers’ interpreters. I supported survivors to access £6,200 of emergency funds and advised NHS coordinating group on strategic planning of the response to the traumas that people suffered, as they witnessed their loved ones burn alive as they shout for help but in vain. The scale of this tragedy for anyone who has been affected by the fire and to different degrees will only be measured in years to come. Most people who have family or friends at the tower have now given up any hope and consider them dead. The worst feeling is that they will not have any closure as the process of identifying bodies is almost impossible for forensic coroners as the fire was an inferno that burnt for 22 hours. People who followed the Stay Put policies by the landlords and which the police and fire men enforced with rigour, was one of the factors that lead to high number of residents and visitors been burned alive or die from smoke inhalation. That was my statement to the BBC Africa French on Wednesday 14th June whilst the fire was still burning. The police and firemen were not aware of the changes to the building and the use of combustible cladding as part of cosmetic facelift for the tower. I have heard some very horrid stories first hand from people who survived the ordeal and have seen some videos that people took during the fire that make my spine shivers and brings tears to my eyes. 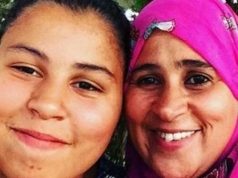 I have cried in public and in private whenever I remember the video of Rania, the younger sister of my student and her two daughters as she was doing supplications and saying shahada. My God forgive me as it is Eid today and I am supposed to be happy but tears are pouring down my eyes like a well. To Allah we belong and to Him we shall return. My only solace is that those who died in fire died like martyrs and will be in the highest places in paradise. May Allah grant us patience to endure and overcome this calamity. The full and true story has been written up and collated and will be ready soon. Now they are 4,000 block of flats that could have similar cladding and which put their residents in mortal danger. 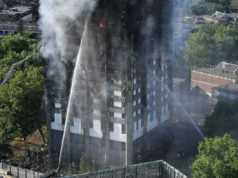 Some council have already started evacuation procedures of their tenants awaiting the fire brigade control and inspections. The mood in the whole of London is very sombre, a testimony to the dark burnt tower of Grenfell disaster and voices are getting louder with anger at the mishandling of this tragedy during and after the fire.